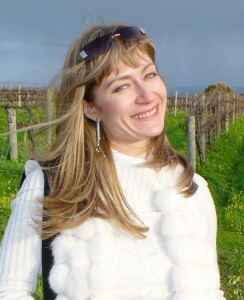 Jessica has conducted workshops and performed in many events throughout South Australia. 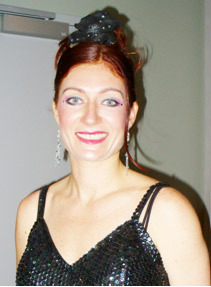 Jessica Pierce has worked as Android-X, Malabar Danza Teatro, Jesstar Entertainment, and now Kaleidoskope. Manager – Arts workshops, fashion, costume and performances. Arts, drama, circus, clowning and crafts. Circus Skills, clowning, mask making, hats and headdress making, Japanese origami, sports and games, Games in pool, drama and mime, theatre performances for parents, face painting, talent show, making puppets, musical instruments and circus props, dance, improvisation, Muriel displays and creative projects. Fire shows, Mime show, Clown show, Juggling laser light show, Mexican puppet performance, Life water statue- Angel (fountain), Ultra violet light shows, Pinocchio and Jepetos life marionette. Comic actors- Japanese, Krishna, Puppets, Witch and hunch back, Pirates, Cave men, Robots, Clowns, Jugglers, magician and Stilts. Performances and animation in shopping centres, Mexico D.F. Performances in the World Trade Convention Center, Photo Manhattan, Fairs, Salón de Fiestas, Vital and Banamex Banks. 2003 – 2004 Sarao Grupo Agency of performances Glazz Night Club, Isla Cancun, Tutix Bar, Blue Parrot Playa de Carmen. Sep 2004 – 2006 Events for procesa – Guadalajara México For Vodka Finlandia, Life fountain in Puerto Vallarta, Fill, Banamex, American Express. Performances as Malabar Danza Teatro for Galerias and Diblasio Concierto. Jesstar Entertainment and Kaleidoskope have performed in numerous events throughout South Australia and the world. Jesstar Entertainment and Kaleidoskope Events List. Following are just some of the events Jes*star Entertainment and Kaleidoskope have performed at in South Australia and around the world. In 2007 - 2011 Circus Skills Workshops for the Australian Sports Commission as part of the Active after school communities OSHO programs. Workshops were held at – SA Primary Schools – Our lady of Visitation, Largs Bay, Clovelly Park, St Margaret Mary’s School, Alberton, Ingle Farm, Blackfriars Priory School and Boral Constructions Materials. 2008- St John the Baptist School, Tenison Woods Catholic School and Allenby Gardens Primary and many others. Australian Festival for young people. 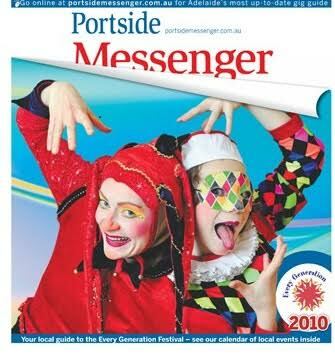 Festival Centre, Lion Arts, Heaven, Essential Talent, Aardvark Entertainment, Mighty Good Productions, Carclew Youth Arts Centre, ANZ Bank, Mclaren Vale on the Lake, Angus Robertson, Governor Hindmarsh, Elizabeth Park School, Port Youth Theatre. 1995-1997 Workshops and performances in Primary schools in South Australia Arts, Drama, Circus, clowning and Arts. Walkerville, Prospect, Gilberton, Raff Base, Port Lincoln High School, Marryatville, Norwood , Glenelg East ,Mt Gambier Schools, Devit, Burnside, Para Hills, Scotch College, Hallett Cove, Golden Grove, East Adelaide, etc. Due to the huge amount of events that have been achieved not all of them are recorded here. Jessica Pierce originally trained in performing and visual arts in Adelaide. She then completed studies in Commedia Dell’Arte and acrobatics with Antonio Fava in Italy. Later, she studied graphic design in México in 2005. She studied Certificate IV in Screen in 2007 at Tafe SA, then Drama at Tabor College in 2008. 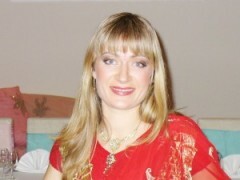 She has 18 years of extensive experience running workshops and presenting performances nationally and internationally. She received an Australia Day – Mayoral Commendation Award in 1996 for outstanding achievements. Jessica aims to encourage and empower individuals, groups and communities through teaching and performing. Jessica Pierce began sewing clothes at an early age of 15. She was then asked by Juggling suppliers Australia if she would like to have a job sewing juggling balls. Jessica very confidently said yes. On the weekends she sold juggling balls, jewellery and juggling equipment for the company. Jessica soon realised she needed to learn how to use this equipment if she was going to sell it. 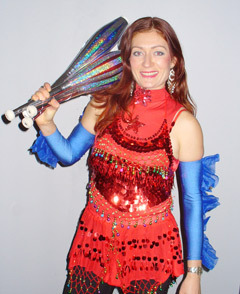 She then joined the juggling club, Cirkidz, worked and trained with Earth Circus and was an artist in residence at Carclew Youth Arts Centre at the age of 19. She ran workshops for children in art and circus, performed and made clothes and costumes under the label, Androix X. She had exhibitions and fashion parades. Jessica worked over seas for 9 years in Circus and Arts in Mexico, South Africa, London and Italy. Jessica feels she learnt a lot about the world and its cultures and realizes she is a greater person for having such global experiences which has become a part of her life tapestry and eternal wisdom. She now lives in Adelaide where she has been the artistic director of Jesstar Entertainment for 5 years. Philippe Quoilin Jessica’s juggling teacher passed down the Juggling club for her to run and continue the Zen art of juggling for others to learn and experience. Philippe Quoilin had run the juggling club for 22years. Through a personal search of balance and harmony in fitness and creativity and a cultivation of many influences from people, babies, children, students, teachers, wise elders, resources, business’s, companies, learning departments and education resources as well as various other life ingredients, Kaleidoskope was created by Jessica Pierce to commence in 2012. Kaleidoskope represents the tools that create shapes and forms to form heavenly designs. The 7 wheels of heaven represents the 7 different coloured wheel chakras with in the body system, the 7 colours of the rainbow, The first 7 years of a child’s life and 7 days a week ect. When the wheels are spinning in the right timing, frequency, harmony and balance the human being becomes the living light and a channel for the divine to flow through. For example in the first 7 year cycle of a child’s life all their beliefs, patterns likes and dislikes will be crated for their life’s journey. Each year the child is on a journey of learning and discovery in life skills, creativity, fun, knowledge, fitness, coordination, communication and unity. The 7 year cycle will continue into the teenage and adult’s life 7, 14, 21, 28, 35, 42, 49, 56, 63 and 70 years ect. The 7 year cycle will replay it’s self over and over in positive or negative experiences depending on the first 7 year cycle that was developed. Kaleidoskope represents the 7 coloured wheels of heaven on earth and when spun in unison the colours become white which is the representation of the soul in harmony and in divine light. Jessica aspires to create a Kaleidoskope village in the Adelaide Hills for community. Jessica believes by setting your own goals and dreams that any thing is possible and can be achieved.